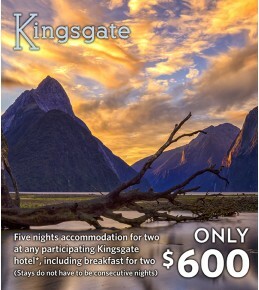 Your Gift Voucher:Colours of New Zealand Plus lets you enjoy a holiday in New Zealand with the flexibility of being able to choose from a range of accommodation options across New Zealand. 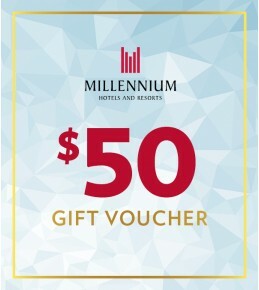 You will receive one, five night stay voucher for stays at participating Millennium, Copth.. 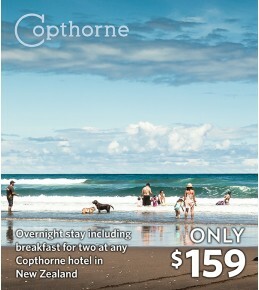 Your Gift Voucher:Treat someone special to one of our Copthorne Hotels with our Bed & Breakfast voucher. 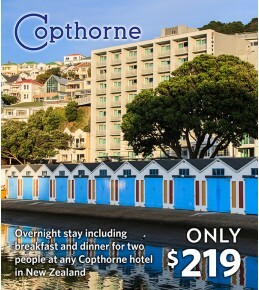 Enjoy overnight accommodation, including breakfast for two at any participating Copthorne Hotel and Resort in New Zealand.Package Details:Overnight accommodation for.. Your Gift Voucher:Our Dinner, Bed & Breakfast special allows you to do just that at a real take-out price. Whichever Copthorne Hotel and Resort you choose to escape to, our expert chefs will ensure you're served only the finest food in superb surroundings. Which means the only preparation .. Your Gift Voucher:Your $50 gift voucher is valid for a full year and the lucky recipient can use it for accommodation or food & beverage at any of our participating hotels and resorts from the Bay of Islands to Dunedin. .. 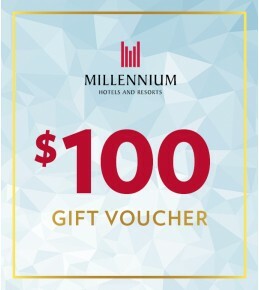 Your Gift Voucher:Your $100 gift voucher is valid for a full year and the lucky recipient can use it for accommodation or food & beverage at any of our participating hotels and resorts from the Bay of Islands to Dunedin. .. 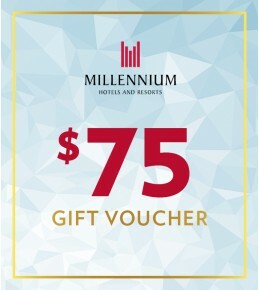 Your Gift Voucher:Your $75 gift voucher is valid for a full year and the lucky recipient can use it for accommodation or food & beverage at any of our participating hotels and resorts from the Bay of Islands to Dunedin. .. 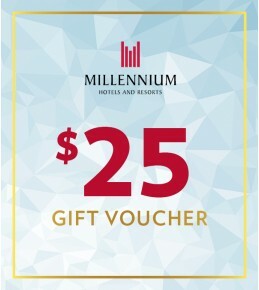 Your Gift Voucher:Your $25 gift voucher is valid for a full year and the lucky recipient can use it for accommodation or food & beverage at any of our participating hotels and resorts from the Bay of Islands to Dunedin. ..